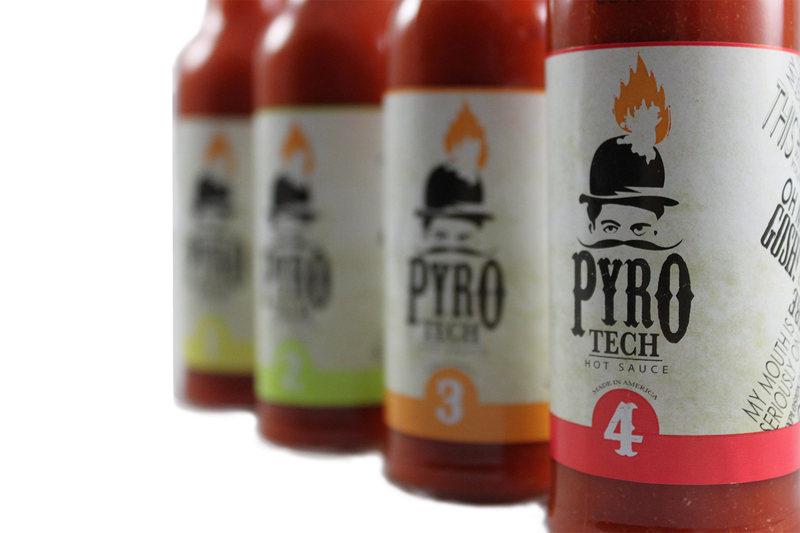 Pyrotech was designed to make an classy, explosive hot sauce. 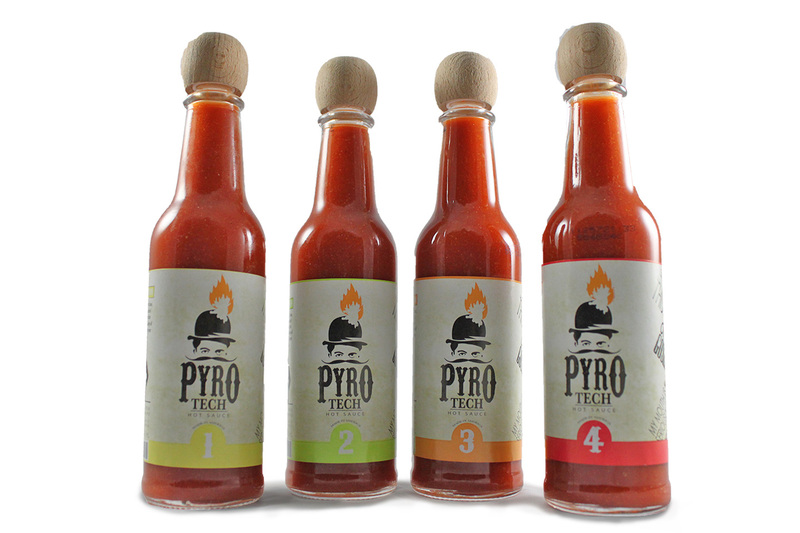 Starting with a 1920's theme, our team came up with four vareties of hot sauce that will make your taste buds want to do the lindy hop. The primary function of the project was to create 4-5 packaging concepts and produce them as they would be in a production environment using printing presses and die-cutters. 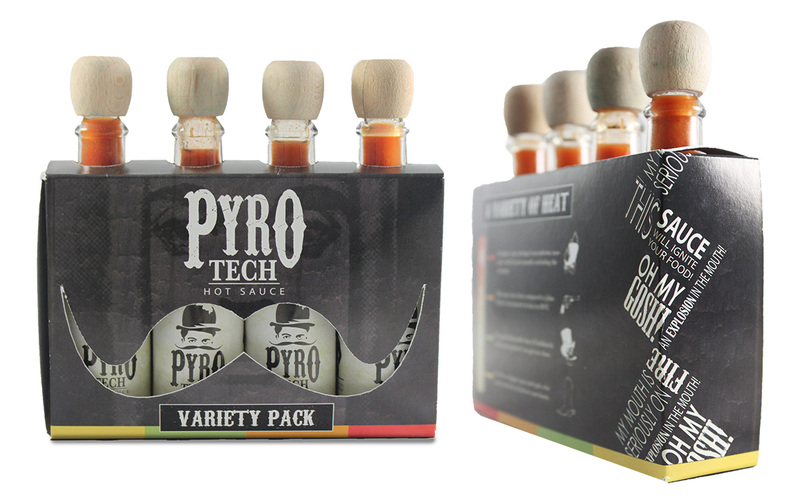 Our 3 person team was tasked with designing several types of packaging. Packaging varied from displays to variety packs and labels. 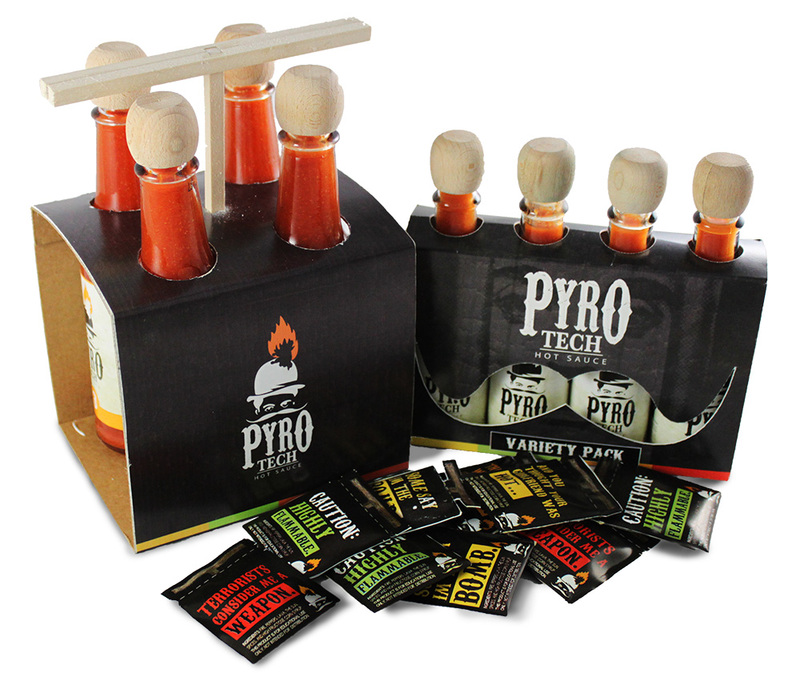 We also developed branding for Pyrotech and produced a marketing strategy to guide sales and advertising of the product. 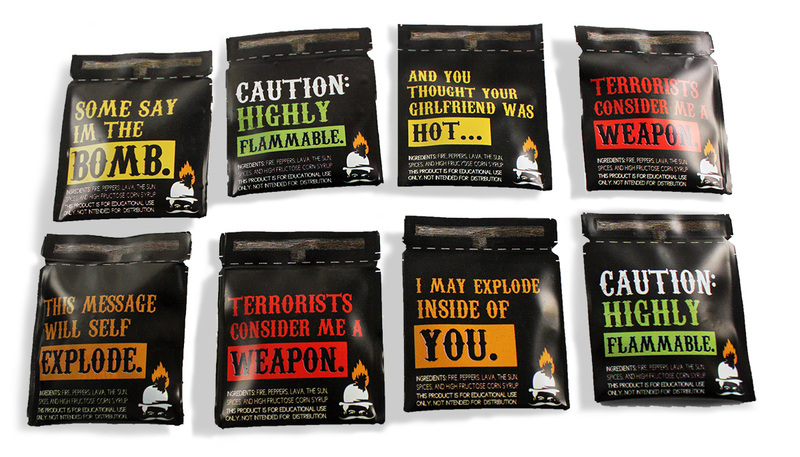 Flexible film hot sauce packets. Awards: Silver Medal of Excellence in "Flexography College Category" for FTA Awards.